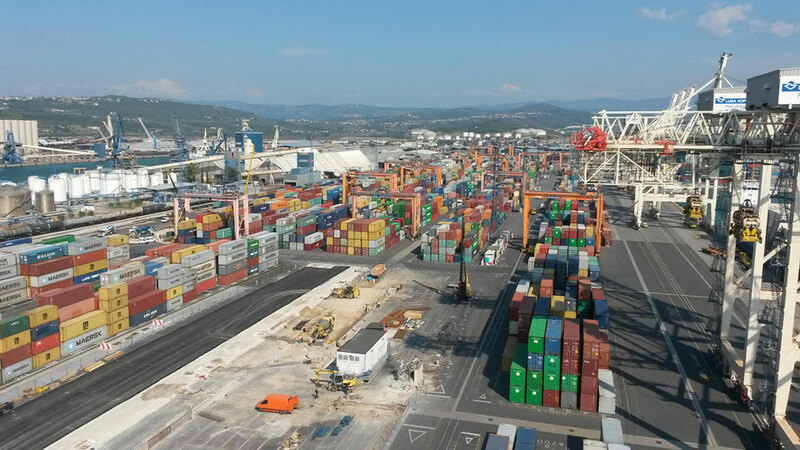 The project includes a shift of container stacks at the container terminal at the Port of Koper in order to improve the traffic between the stacks and to introduce RMG gantry cranes above the tracks. 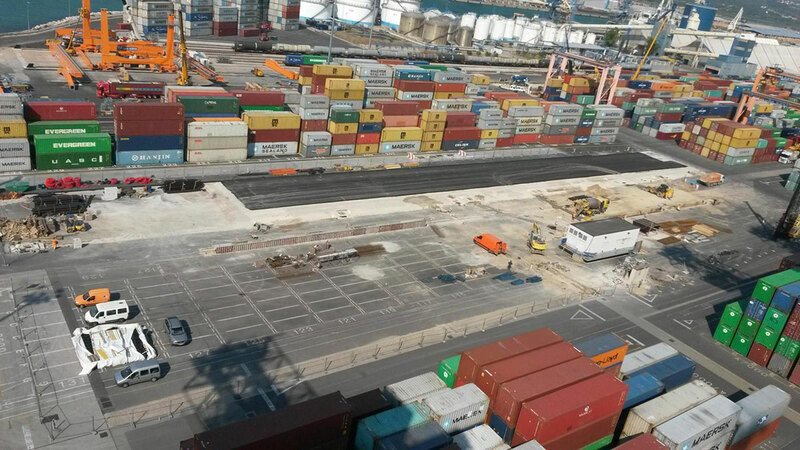 It was necessary to co-ordinate loading and unloading of ships, trains and lorries, to foresee a new entry point for external lorries and hauliers that drive on the territory of the first pier. The entire first pier was elevated to a new height, the existing 39-metre high light towers had to be demolished and replaced by new light towers. 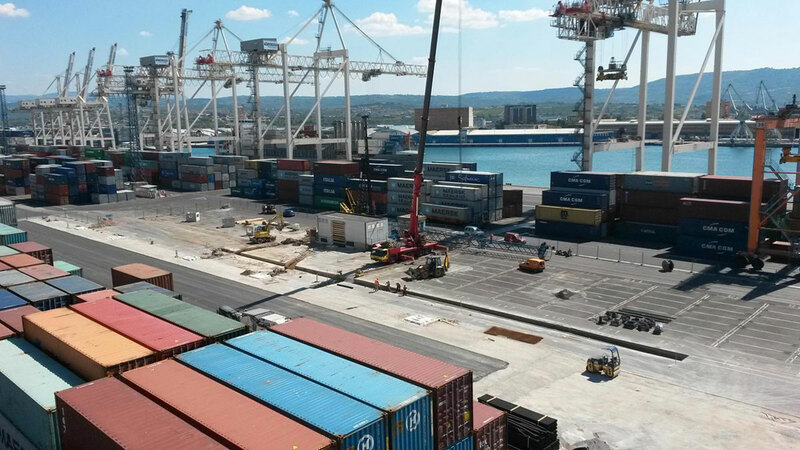 A new hydrant network and a new electric cable infrastructure with APS connections for E – RTG (transtainers) were foreseen over the entire pier. A project for a solution to the traffic situation on the first pier having a surface of approx. 17.5 ha was prepared and a new traffic situation was adapted to the existing construction in terms of height. Project typeNew construction, port, water supply mains, underground power cable ducting, traffic regulation of the container terminalLocationKoper, SloveniaSection lengthWater supply 2682 m, underground power cable ducting 5628 mAreaTraffic regulation of the container terminal of an area of 17.50 haInv. value€18,000,000.00Year(s)2014–2018 project, 2016–2018 executionServicesExternal infrastructure design: water supply plan, underground power cable ducting plan, traffic regulation plan: building permit design, execution design, as-built designInvestorLuka Koper d.d.